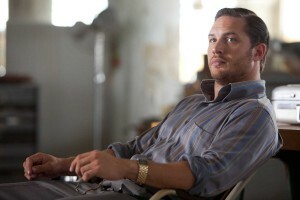 Tom Hardy as Eames in Inception is sitting pretty in Hollywood too! Now, we all know that Leonardo DiCaprio has a home run with Inception, and was there ever any question? (But will it beat Avatar…..) Anyhoo, Leo D. is easily recognizable, as is Ellen Page — I mean after Juno, no one could utter the name Diablo Cody without the name Ellen Page being uttered within the same breath — and so is Joseph Gordon-Levitt (remember him on 3rd Rock from the Sun? Loved that show!) and Ken Watanabe (Memoirs of a Geisha, The Last Samurai). But let me ask you this, do you recognize Tom Hardy? Well, if you’re like me, you may have had a little brain tickle when you saw his face, and his oddly intriguing, and endearing, slightly crooked of tooth grin. (When Winona Ryder rocked the overlapping front tooth, the masses called it a snaggle tooth. The media can be so mean to women. I, for one, loved her snaggle tooth! Believe me, I’ve seen snaggle teeth, and they aren’t cute like that…anyway, I digress…) You may even have sighed. But do you remember him? For about 30 seconds, my brain flipped quickly through my rolla-dex of men I’ve seen on screen before, and voila! Search villain category….have you guessed it yet? Being the smart and savvy readers that you are, of course you have. Here is a Villain Extraordinaire I actually thoroughly enjoy remembering. He’s left an indelible mark on my mind for some reason. Is it Freudian or Jungian or some such? I have no clue, but I’m sure there is a reason Tom Hardy as this particular villain left such an impression on me. 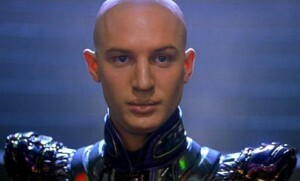 Yes, I thoroughly enjoyed Tom Hardy as Shinzon in Star Trek: Nemesis. Shinzon_Tom Hardy in Star Trek Nemesis_What a villain! Maybe it has something to do with the fact that I cut my own teeth on Star Trek….I’ve seen them all! Blink and you’ll miss it, but here is Tom Hardy as snide Raumont in Marie Antoinette, directed by Sofia Coppola and a brilliant movie I might add! A must see! Tom Hardy as Raumont in Marie Antoinette_The dandy on the right! I told ya I seriously went to my rolla-dex on this one! It was hard to look away from Gerard Butler, Idris Elba and Thandie Newton in this movie, but I’ve got an eye! Here’s Tom Hardy as Handsome Bob playin’ it to the hilt in Guy Ritchie‘s RocknRolla. Tom Hardy as Handsome Bob in RocknRolla sure is handsome! And of course, I have to mention his role in Inception. What do you think of him as Eames? Tom Hardy as Eames in Inception_Move over Joseph! ~P.S.~ My review of Inception….coming soon! Awesome Movies Playlist, Did You Know?, entertainment, Good Movie Alert!, Leonardo DiCaprio, movies, On the Casting Couch, Tom Hardy. Bookmark. Thanks for including my link! Tom Hardy has some serious magnetism. I came to really like him watching The Virgin Queen, and can't wait to see him in Inception! Yes, I agree, he's rockin' some harsh magnetism. I'll never forget him as Shinzon. *shivers* And he's the kind of guy who just gets better with age. Inception has been trending on Twitter for weeks now, so I'm definitely past due to see it! one word: "Bronson". that is the best Tom Hardy movie by far. 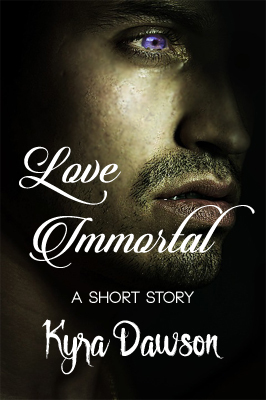 Warning: not for the faint hearted. Bronson is a hard movie to watch, but Tom Hardy is riveting. I still have a thing for him in Nemesis though.